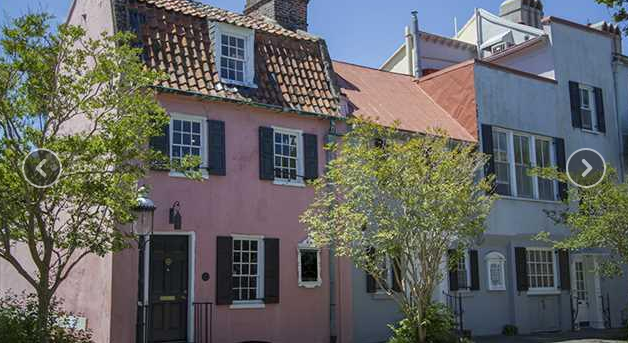 Historic homes are a staple of Charleston’s character. It’s hard to imagine driving down King Street or Meeting Street and not admiring the classical architecture that has defined our city’s skyline (if not our culture). Oftentimes we take pictures of the beautiful piazzas hanging to the sides of the property or we tour gardens around the premises. However, not every historic property is in tip-top shape around Charleston. For some of us, we may be looking to renovate the historic property in conjunction with buying one. But renovating a historic property can be costly, as there are many laws to follow. To help with this situation, we’ve compiled a short list of ways you can get financing for your historic home. Conventional mortgages for historic homes can sometimes be 3 points higher than contemporary home loans, according to CNN. That’s because it takes extra work to renovate and maintain a historic home, and lenders see it as a riskier investment. To see what types of mortgage loans work best for you and what you can expect when financing a historic home, talk to our preferred lender. A home renovation mortgage is one lending option you might want to look at when buying a historic home that requires a lot of work. A renovation mortgage covers both the purchase price and money for renovations on historic properties, and the rate is usually better than a separate loan meant for home repairs. Another added benefit is you only have to pay closing costs and fees on one loan rather than two. As you determine the size of the renovation mortgage, you should also keep note that you can’t maintain the historic home’s character if you don’t adhere to certain rules in Charleston, SC. You can’t simply replace century-old windows or doors with stock product from a home improvement store. Any renovations or additions need to match what’s already in the house and be approved by the local agencies governing such renovations. Oftentimes, you might have to employ specialist craftspeople to get materials that match your renovations, which can be costly at times. Make sure you factor in these costs as well. One last advantage you have for renovating a historic home in Charleston is that you can claim the renovation money as part of your mortgage, enabling you to receive a bigger mortgage tax deduction if you itemize. For further information about this, contact our preferred lender and how you can receive tax credit for financing on a historic home.